One Day Workshop On Research Trends in Cloud Computing on September 13 th 2013 @ College Of Engineering Guindy, Anna University , Chennai. Cloud computing brings into focus what IT always needs: a way to increase capacity or add capabilities on the fly without investing in new infrastructure, training new personnel, or licensing new software.Cloud computing encompass any subscription-based or pay-per-use service that, in real time extends the existing capabilities of IT over the Internet. Today, with such cloud-based interconnection, cloud computing might be more accurately described as "sky computing," with many isolated clouds of services, which IT customers must plug into individually. On the other hand, as virtualization and SOA permeate the enterprise, the idea of loosely coupled services running on an agile, scalable infrastructure should eventually make every enterprise a node in the cloud. To expose the latest research trends in Cloud computing, to identify the gaps in existing research areas of Cloud computing and to suggest possibilities of the gap bridging exploration. very nice blogs!!! i have to learning for lot of information cloud computing for this sites...Sharing for wonderful information. Engineering students who are interested in best inplant training in chennai can contact us. We provide real time best inplant training in chennai for aspiring students. 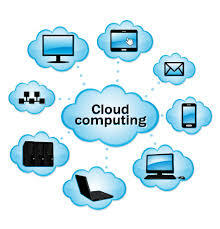 In coming years, cloud computing is going to rule the world. The cloud based CRM tool provider like Salesforce have massive demand in the market. Thus talking Amazon Web Services Training in Chennai from reputed Amazon Web Services Training will ensure bright career prospects for aspiring professionals.